Dental floss is a piece of string that is used to clean the spaces in between our teeth, which is also known as interdental spaces. This is necessary because the bristles of the toothbrush is not able to enter into such fine spaces, and this will lead to debris accumulation if not cleaned by dental floss. The dental floss used to be made from silk in 1815 by a dentist from New Orleans, known as Dr. Levi Spear Parmly. At that time, it could only be afforded by elites and upper class people as silk was expensive. But during World War II, the silk supply to the United States was cut off because Japan, as the supplier, was at war with the States. Therefore, dental floss was then manufactured with nylon, which is much cheaper and affordable to the whole population. Since then, dental floss has been made up of nylon, but there has been many other improvements made to it, as well as discovery of new material which is also suitable to be made into dental floss. This new material is known as Teflon, which is the brand name for a polymer known as PTFE (polytetrafluoroethylene). PTFE is a monofilament dental floss, therefore, unlike the multifilament nylon, it is stronger, and does not fray or break easily. 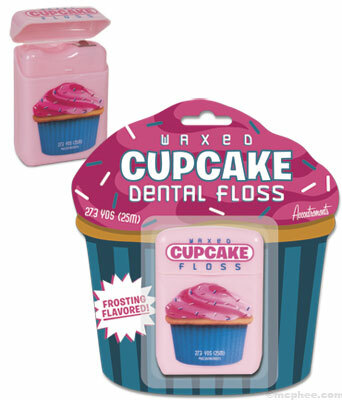 Another new material that is added into the dental floss is flavouring. 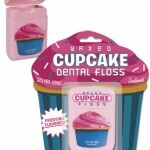 To attract children and encourage the good habit of flossing, flavours such as bubble gum has been incorporated. Recently, bacon flavor has also been tried out to attract adult customers, however, popular flavours over the time has shown to be more conservative flavours like mint, cinnamon, and citrus. 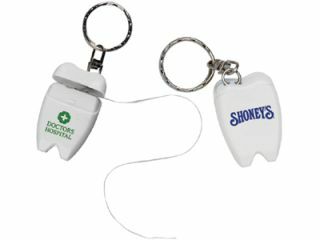 Other than these, another new innovation to attract attention of customers is adding a variety of different colours to the floss. 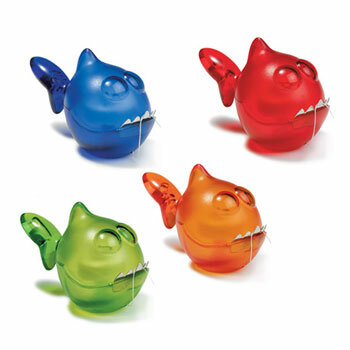 Brightly coloured containers and containers with various cartoon characters have also been produced to further attract the attention of a child towards dental floss. Dental floss is now also available as waxed , lightly waxed or unwaxed. Waxed floss can ease the floss into the interdental space better than unwaxed ones, however, waxed floss tends to leave some wax behind after the floss has been pulled through the teeth. This can lead to debris accumulation more easily if the flossing habit is discontinued or irregular. Another new innovation of dental floss is the ability to help with teeth whitening. These dental floss has been treated with calprox, which is a whitening agent combined with baking soda and is encapsulated with 16 other ingredients to non-abrasively dissolve the protein pellicle to which coffee, tea, tobacco, red wine stains and plaque adhere. These dental floss are especially suited for smokers, or individuals with frequent intake of coffee or tea. For patients who are currently undergoing fixed orthodontic appliances treatment, or patients who has dental crowns or dental bridges, a new type of floss has recently been developed, and it is known as the super floss, which is specially manufactured to suit them. Because of its three unique components – a stiffened-end dental floss threader, spongy floss and regular floss—all work together to allow the user to force the floss into the tight fitting spaces between the appliances or the prostheses. This floss is made up of nylon, and has three thickness – regular, thin mesh, and thick. All these layers are woven together to give a stronger than usual floss. Another type of dental floss is made into a thin and wide strap, which is ribbon like instead of sting like. This is so that the floss can be stretched even more and become thinner to be eased more easily into the interproximal surfaces between the teeth. As it is ribbon like, it also covers more tooth surface than the usual string like dental floss. It is believed that flossing can help individuals who are on a diet programme and trying to lose weight. The relationship between flossing and losing weight is still not yet clear, however, it has been shown that people who floss regularly, especially after every meal, is less prone to snack between meals. 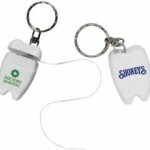 One of the new form of floss is a floss pick, which is widely available on the market everywhere around the world. The floss pick is a combination of a floss and a toothpick, and is disposable, making it easy and use, as it can be used discreetly, and convenient for the users, as they can throw it away once they have used it. Although flossing has many benefits, brushing remains the main and most fundamental way of obtaining good oral hygiene. An effective brushing technique twice daily, lasting two minutes each time, and a good diet practice will ensure a healthy mouth and bright smiles. The correct flossing technique must also be learned to prevent any injuries to the gums. This entry was posted in Oral Care and tagged colouring, container, flavouring, floss, floss pick, interdental space, nylon, ribbon like, super floss on July 20, 2011 by chzechze.